1033 The Helvetia becomes part of the Holy Roman Empire. 1309 Henry VII recognizes Swiss League. 1315 Swiss defeat Leopold of Austria at Morgarten. The Swiss League renewed. 1318 Truce between Swiss League and Hapsburgs. 1332 Lucerne joins Swiss League. 1351 Zurich joins Swiss League. 1352 Glarus and Zug join Swiss League. Austria wars against Zurich. 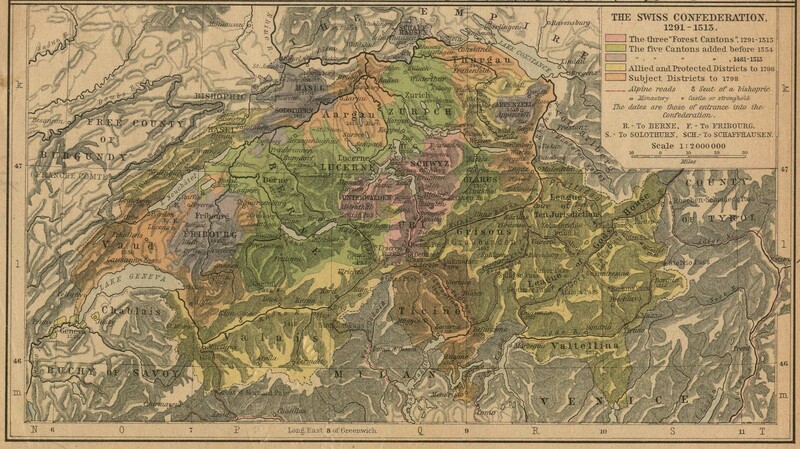 1353 Bern joins the Swiss Confederation, which now consists of the 8 old cantons. 1386 Leopold III of Austria defeated and killed by Swiss at Sempach. 1388 Swiss defeat Leopold IV of Austria at Nafels. 1403 Valais joins Swiss League. 1499 Treaty of Basel grants the Swiss independence. 1501 Basle and Schaffhausen join the Confederation. 1513 Appenzell joins the confederation. grew as a movement in Switzerland, Germany and the Netherlands. 1524 Ulrich Zwingli abolished the Catholic mass in Zurich. 1526 Zurich threatens followers of Anabaptists with penalty of death. 1529 Civil war commenced between Catholic and the Reformed cantons in Switzerland. The Catholics were ultimately defeated. 1530 Zurich orders death penalty for anyone harboring Anabaptists. 1690 Children of Anabaptist marriages are refused rights of inheritance in Bern. 1803 Swiss cantons regain their independence under terms of the Act of Mediation. 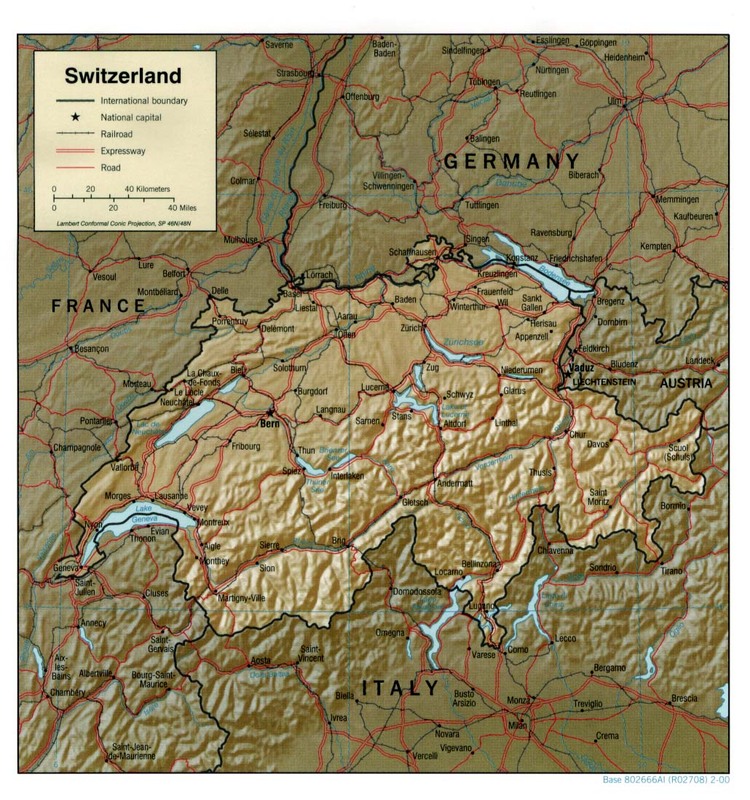 1815 Switzerland is established as an independent confederation of 22 cantons. centralized federal state (Constitutions of 1848). 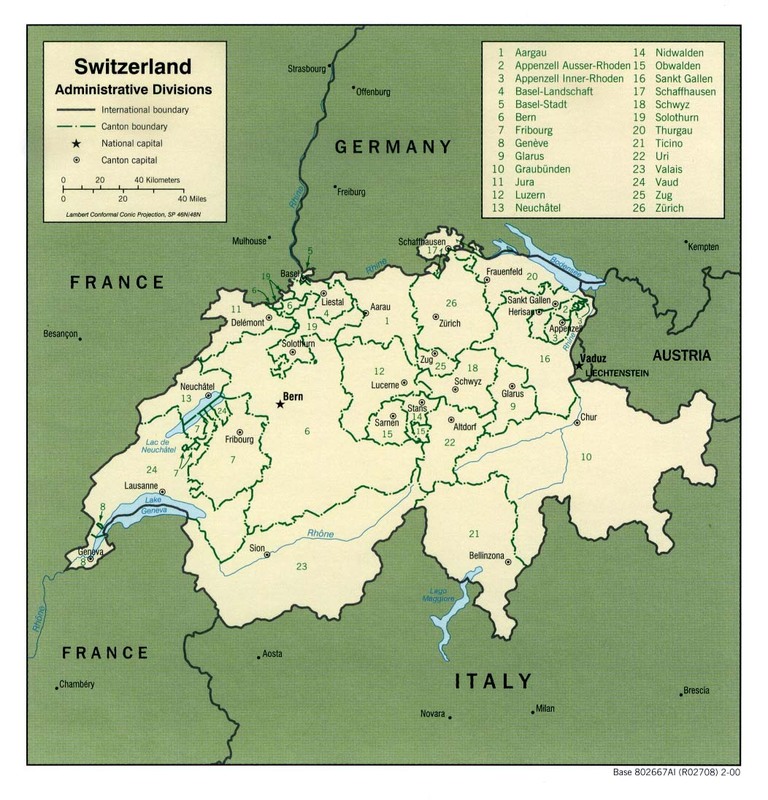 1979 Areas from the canton of Bern attained independence from the Bernese, forming the new canton of Jura. 1999 On 18 April 1999 the Swiss population and the cantons voted in favour of a completely revised federal constitution. To visit a site click on the icon. The only assistance I can personally give you is to maintain this website and provide you with links that will be helpful to you. My ancestors came from Switzerland to the United States in the Eighteenth century and I, too, am learning to do research in Europe.